Quan Fa, also known as Chuan Fa or Kenpo, means literally the Law of the Fist . In Quantum Fá we’re looking for the Law of the Minimum , also known as thequantum . In other words, Quan Fa/Kenpo is not the official Martial Arts of Quantum Fá. But, Quantum Fá, like any good philosophy, sect or cult in the world, needed to have its own Martial Arts. Traditional Ifá did have its own Martial Arts, Aki, which has been outlawed a few centuries ago. In any case, and of course, like any good tradition, Quantum Fá’s Martial Arts is top-secret and only handed over personally to the very best of the best. However, some time ago its once secret name was spilled by some whistleblower(s). No need to hide it any more. 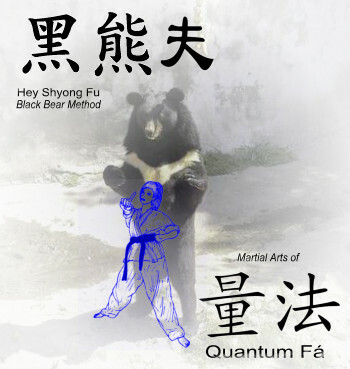 So, here it is: it’s called Hey Shyong Fú, literally the ‘Black Bear Method’. Its roots are said to be from the precursor of today’s Tai Chi and Kung Fú, created about 70,000 years ago, personified in the myth of the Dark Warrior Xuánwǔ 玄武 who inspires everyone who is ready to receive his messages. The name came from the Himalayan Bear, Ursus Thibetanus, similar but not identical to the American Grizzly and the Bipolar Bear, for example. In short, a name as subtle as its secret handsign,an allegory of the Dark Warrior himself, of course, the right index finger pointing, slightly obscene, to the adept’s head brain (see attached official poster). Its battle cry is composed of 3 (three!) most powerful switchwords: ‘Hey Fá Fú’ that, as can be expected, have a very secret meaning (a special note here for Americans: Fú is pronounced ‘foo’, like in ‘Foo Fighters’). There are no strict ‘forms’ as in other Chinese martial arts systems, but there is a sequence of energy moves combined with meditation called 秋 qiū, similar to the Akí sustem in Ifá, which cycles through 15 of the 16 Olodus (base energies). 秋 qiū here is in the meaning of ‘swing’ like in ‘riding on the swing’, and ‘eternally’ shining’. Cycling swiftly through the basic proto-energies of the world enables ‘surfing the Universe’ in a new and brilliant way. It is based on the ‘Minimum Technique’ for polar inversion, which, like the rest, is only passed on from a master to a few select. Currently, there is no living master around that I would be aware of. Personally, I don’t consider myself a master of Hey Shyong Fu and don’t claim to teach it to others. But the basics that I know of can be applied by themselves and yield surprising results and I share those basics with everyone who is serious about learning this approach. Quantum Fá 量法 liàng Fǎ – the principle of the ‘minimum’ as applied to the laws of the Universe results in the idea of the ‘axiomatic system’ in logics as a branch of mathematics and in philosophy. In Ifá there are sixteen such principles from which a matrix of 256 polarities are being formed which are thought to represent the ‘world as such’ as a model. Hey Shyong Fú implements the idea of the ‘minimum’ in striving for a minimal effort, time, multiplicity and multitude of cause to yield a maximal effort. chi gung 气功 or 氣功 qìgōng – “Life Energy Cultivation”, holistic system of coordinated body posture and movement, breathing, and meditation, incorporating many of the exercises of Hey Shyong Fú. kung fu tea ceremony 工夫茶 kung fu cha – when ( warriors drink tea, they make it a special occasion. When dark warriors drink tea, it becomes a darker tea Xuán cha 玄茶. wú 無 or 无 – (not to be confused with japanese ‘mu’!) – ‘without’, ironically a concept with too many interpretations. Oya 親 oya – parent (esp. mother or father). Note, the Oyamú 親母 are called the ‘Iyami’ in Ifá. mi 迷 – mí – to be confused, puzzled. (cp. superstition 迷信 míxìn). Note: it is essential to know the correct pronounciation in mantras using this word (as a switchword for ‘wonder’). If not you might get rice mi – 米 – mĭ instead. Heaven 天堂 Tiāntáng – this concept can’t miss, neither spiritually nor in the physical realm, where it equates, for example, to ‘above’ or to the ‘gaseous’ state of matter. 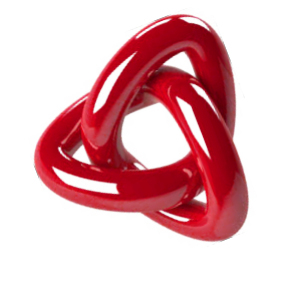 Hug 拥抱 Yǒngbào – the threefold connection to ANYTHING, via the trefoil knot Sān yè Jié. There is no book 书 Shū in Hey Shyong Fú. It has all elements like head 头 Tóu, arm 臂 Bì, leg 腿 Tu, torso 躯干 Qūgàn, hand 手 Shǒu; foot 脚丫子 Jiǎoyāzi. shoulder 肩 Jiān and so forth. Erhu 二胡 èrhú – two-string violin 小提琴 xiǎo tí qín , a musical instrument 乐器 yuè qì with resonance box made from the skin of a python 蟒 mǎng. For a Hey Shyong Fú warrior an opportunity to practice of purity (of sound), adjustment (fine tuning), and resonance gǎnyìng 感应. Mostly improvisations as meditations, often using dual tones with Double Stops 雙音 Shuang Yin and similar techniques to represent polarities other than those of outer and inner strings. About playing and composing for the 二胡 èrhú see here. A didgeridoo 蒂傑利多 is another ‘frequent instrument’ found in Hey Shyong Fú.